Motorola has stabled itself by launching various devices. 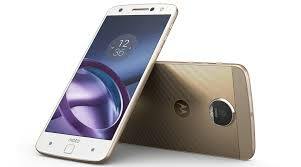 IFA 2016 at Berlin has seen Moto Z Play from Motorola after its successful launch of devices like Moto G4, Moto G4 Plus, Moto Z Force and Moto Z. Unlike other handsets from Motorola, Moto Z Play is having an extensive battery that will keep the handset live for nearly 50 hours. The capacity of this battery comes to be nearly 3510mAh. Moto Z Play measures to be 156.4*76.4*7mm with a weight of 165 grams. The handset supports Nano-SIM. Moto Z Play is water proof with its Nano Coating and has IP52 Certification. The display of Moto Z Play extends upto 5.5 inches. The resolution comes to be 1080*1920 pixels with 403 PPI. The Super AMOLED capacitive touchscreen supports 16M colours along with Multi-Touch facility. Moto Z Play runs on Qualcomm MSM8953 Snapdragon 625 processor. The Octa Core processor is having a processing speed of 2.0 GHz. This processor is backed by Adreno 506 for extensive graphics support. With the RAM of 3GB and Internal Storage of 32GB, Moto Z Play seems to be powerful and functions without any processing lag. The internal storage can be extended upto 256GB with the help of external microSD memory card. Moto Z Play is packed with Android OS of v6.0.1 Marshmallow. Moto Z Play is having a primary camera of 16MP lens. Other supported features include Phase Detection and Laser Autofocus. The Dual Tone LED Flash helps you to capture images even in dim lights. It has got 1.3 µm pixel size along with handful of other features like Face Detection, Panorama, Geo-Tagging and HDR. 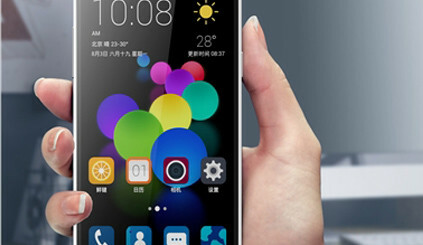 The front cam is having a lens of 5MP with supported features like LED Flash and 1.4 µm pixel size. Another exciting feature is the enhancement of Moto Mods, which will improve camera’s capturing ability. Moto Mod will now offer Hasselblad. The new improvement helps in enhancing the camera ability upto 10X Optical Zoom. Moto Z Play supports WiFi connectivity with 802.11 a/b/g/n along with Bluetooth connectivity with v4.0. The handset is also GPS enabled with A-GPS along with NFC connectivity. Moto Z Play is also having USB connectivity with Type-C 1.0 reversible magnetic connector. This handset also features various sensors like Fingerprint, Accelerometer, Gyro, Proximity and Compass. Moto Z Play is having a Non-Removable Li-Ion battery with a capacity of 3510 mAh. Along with TurboPower fast charging technology, the battery can be powered upto 9 hours back-up within 15 minutes. Moto Z Play will be available by the end of this month. Handset is tagged with a price of $400. But the Hasselblad Camera Mod will cost you extra $299. It will be known as Motorola Moto Z Play Droid in USA.